I am thrilled to welcome Duck Egg Threads as a new sponsor! Duck Egg Threads was born from the love of Liberty prints but not wanting (or needing) to buy large pieces of this expensive and luxurious fabric for quilting projects. The shop has come a long way from selling a small range of Liberty Tana Lawn fat eighths at launch to growing into being the go-to online shop for a large range of Liberty cuts, Art gallery fabrics’ Pure Elements solids (they stock one of the largest ranges in the UK), patchwork notions and the hugely successful We Love Liberty Monthly Club. 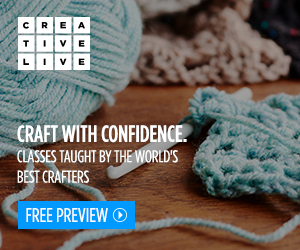 Take a look and have a browse – you’re sure to be tempted to add to your stash! My weakness for Liberty fabric is strong and, while I would buy bolts of tana lawn if my purse allowed, I appreciate being able to get smaller pieces in a much wider variety of prints. I have a growing collection and even the tiniest scraps get used in epp or hand piecing projects. Duck Egg Threads have beautifully displayed all the Liberty prints on their website. It is easy to navigate by colour, collection and style. The hardest part is choosing between which ones to buy, though you can easily get all your favourites since the prices start from just £1.38! It's wonderful that this really makes the fabric affordable and it allows you to add pieces in to many more of your projects - if you've never tried working with Tana Lawn I really encourage you to. It feels incredible, the quality is outstanding and the patterns are truly even more beautiful in real life. Liberty is a life long love affair for me. Starting with my Grandmother's scarves and all those classic patterns. So rich, comforting and joyful. I know many people have favourite prints associated with their own memories and stories. 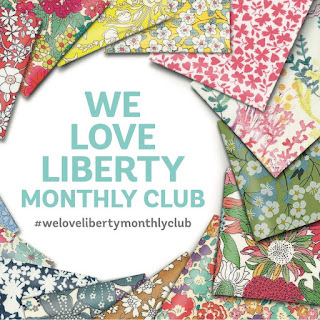 Whether you wish to add to your collection or start growing a Liberty stash the We Love Liberty Monthly Club is a perfect way to do that! Purchase a subscription and every month for the next six months you will receive a carefully curated bundle of 8 Liberty Tana Lawn pieces of fabric, each month’s selection will be carefully chosen to coordinate with each other. A mixture of Classic, Seasonal and New Season prints, the club offers you the chance to grow your Liberty Tana Lawn stash month by month, and all for a discounted price compared to buying the 8 prints individually through the shop. 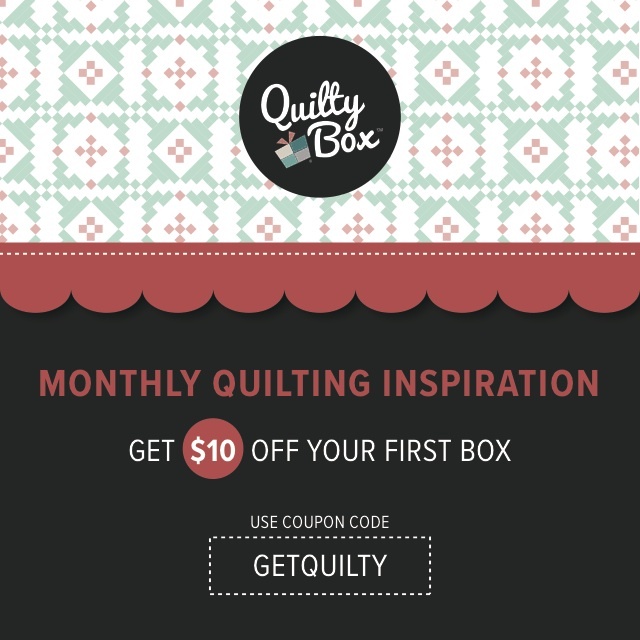 You chose whether to get either 16ths, 8ths or FQs and then enjoy happy mail each month! For further details and to sign up CLICK HERE. And it doesn't stop there! Duck Eggs Threads also stock Pure Elements, which work particularly well paired with Tana Lawn; as well as a great selection of sewing notions, including my favourites Aurifil thread, glue refills, Clover needles and TimblePad. 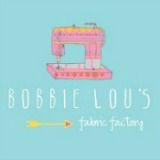 It always helps when you can buy fabric you love along with the useful bits you need! They offer flat rate shipping of £2.75 in the UK and very reasonable worldwide postage rates. Sarah has outstanding service and you can always contact her via the website if you have any queries. A passionate quilter herself, she understands her customers needs and I encourage you all to support small business, delight in the beautiful fabrics and visit Duck Egg Threads. 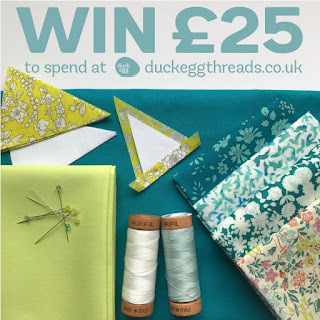 Duck Egg Threads is kindly offering a fabulous giveaway to win £25 to spend online! 1. Leave a comment telling me your favourite Liberty print or share your memories/stories involving Liberty fabric. 2. 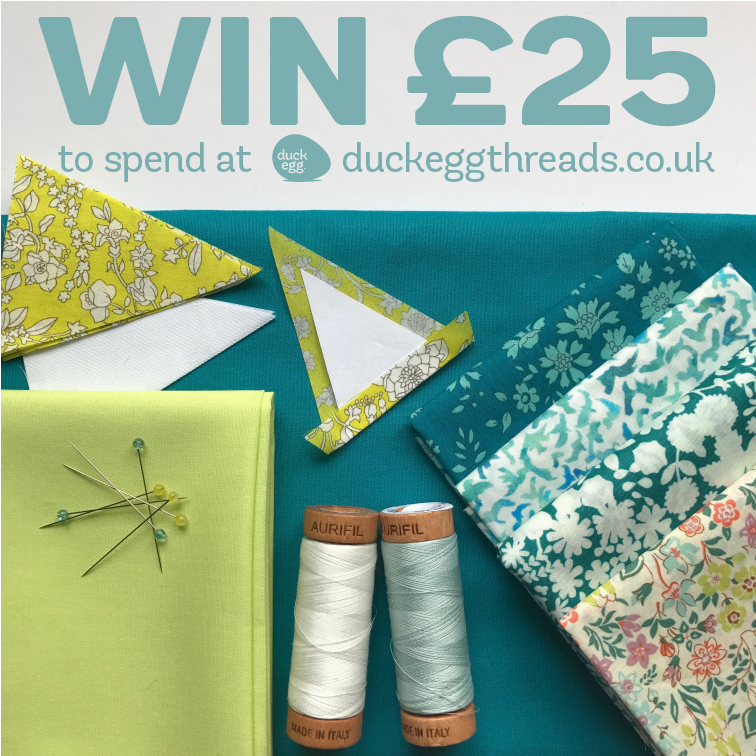 Sign up for the Duck Egg Threads newsletter - visit the shop and sign up in the box at the top, or let me know if you already receive it. 3. Follow @duckeggthreads on instagram. 4. 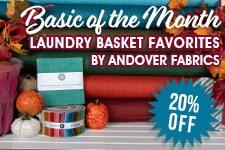 Spread the news - share this giveaway on facebook, instagram, blog, twitter, pinterest etc - then leave a comment letting me know how you shared. The giveaway is open internationally and ends 27th October 2017. A winner will chosen by random. For the love of luck please please leave your email address in the comment - a few times I have picked winners that I could not contact so they missed out!! Well . Where do I begin? My parents met in London and loved going to walk round liberty . In turn my father used to take me , and I loved the haberdashery and in turn I took my children . I look forward to taking my grandson too ! The Strawberry Thief is my favourite. I was sad to miss out on the DMs that came out in that design a few years back. And I follow duckeggthreads on instagram. Eeek, amazing giveaway! There are so many prints that I've loved over time -- always seasonal, novelty designs with some whimsy to them. Adelajda is right up there these days! I just started following Sarah on IG -- yay! And I've signed up for the Duck Egg newsletter too! Fingers firmly crossed! I love so many Liberty prints, but my favourite is Wiltshire. I have used it many times and in all of the colours for different things, I especially love the soft feel of the fabric to use in EPP. It was my birthday on the 22nd Oct and one of my friends gave me 4 fat quarters of Liberty tana lawn. 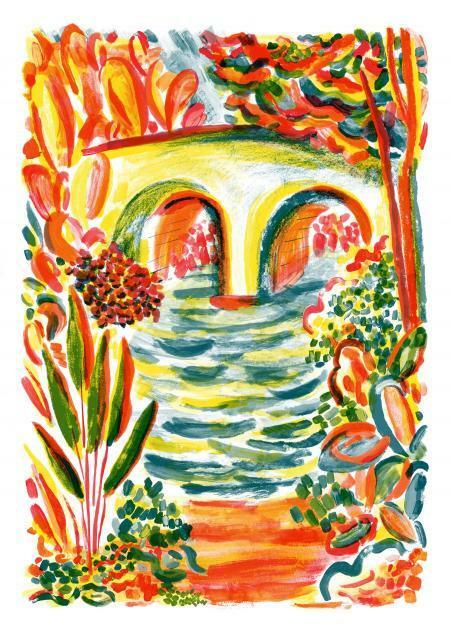 A collection called the English Garden. So pretty! Signed up for the Duck Egg Threads newsletter! Thanks! LOVE all the"Capel Tana Lawn Cottons"! Thanks for sharing! I've always loved Liberty, when I worked on Oxford Street in my twenties I used to visit to lust over the fabrics. Ive now got a sizable collection of small pieces thanks in part to the lovely fabrics at Duck Egg Threads! I follow Sarah on Instagram! I follow duckeggthreads on Instagram! I love sewing with Liberty - it is the best to work with. I love their reds especially the Clare and Emily B! My favorite Liberty print is Liberty Tana Lawn Capel A Coral...the color is so pretty and soothing! I have never even been close to a Liberty fabric and would love to sew with it! I love lots of the patterns but have a really soft spot for Capel. I already follow duckeggthreAds on Instagram (where I heard about this giveaway) and receive the newsletter. I'll share as much as I can on Facebook, Insta and Twitter. signed up for the newsletter. I can not remember a time where I didn't wear Liberty, in the 80's they used to have their fabircs in skirt lengths with sheering to make a waist - loved those as it meant as a young teen I could make my own skirts really quickly. I once bought an evening dress sheered version for a party (very 80's) and it went on for years, my daughter used to play dressing up in it! My favorite print is Rosa. Lucky for me that I was giftedsome Liberty fabric scraps and made a few treasured items just for me: Mug Cozy, Snack Mat, and Sewing Machine cover. Those tiny pieces went a long way!!! I am already subscribed to your newsletter! Thanks! Favorite print...is that possible to choose?! That mustard capel is pretty great! Farmyard is my favorite print. I follow Duck Egg Threads on Instagram. 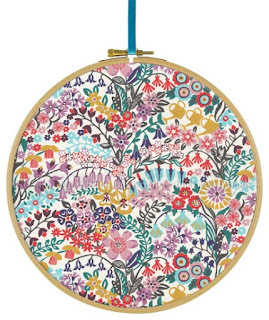 I sadly don't own any liberty fabrics yet, no doubt I will soon! The shop is so pretty. Following on Instagram, shared your post also. Recieving newsletter too. I can't say my favorite print, so I'll share how I have the scraps I have now. One IG friend kindly sent me charms and partial charms, I won a partial-charm scrap giveaway on IG, and I was in the right place at the right time for a grab bag of scraps at a lost-our-lease sale. Lucky me! I am in the middle of actually USING them right now to piece a quilt top, so I would love to be able to supplement my scraps with a few pieces that I don't have. Thanks!! I have seen many beautiful Liberty prints but have never owned any of them. I love the Classics, especially Margaret Annie and Small Susanna. I follow Duck Egg Threads on IG as mcglen. I love Liberty fabric and think Capel might be my favourite print. I receive Duck Egg Threads' newsletter. I follow @duckeggthreads on Instagram. My favourite Liberty print is probably Mirabelle but it’s very hard to choose as I love them all for different reasons. My love affair with Liberty fabric began in 1979 when, working near Oxford Circus I would visit Liberty every lunchtime usually heading straight for the shelves full of the most beautiful fabric. I was then lucky enough to work there for a short time which further deepened my passion for all things Liberty. When I first started sewing and EPP in 1982 my first choice of fabric was Liberty Tana Lawn and my love affair continues. I’m still loving, collecting, stroking and sewing Liberty Tana Lawn. I love the Betsy P in blue fabric. My favorite is Liberty Tana Lawn Margaret Annie C Purple! Thank you Duck Egg Threads and Lucy for your generosity. Now a happy subscriber to the Duck Egg Threads newsletter:) Thank you! Following Sarah on IG. 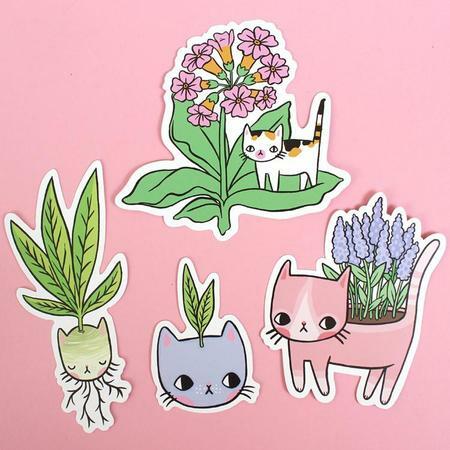 Thank you........Oh my such goodness in your shop! Well they are all gorgeous! But I like the Mary Mary Coral it is an explosion of flowers! Its quiet STUNNING! Thank you for the opportunity for a chance to win this beautiful giveaway. My favourite Liberty print (at the moment) is Tresco. I love this fabric. Don't own any but have had the pleasure of petting it a couple of times. Thanks for the opportunity. So many favorites, but the Lawn "Capel G Mustard" is particularly nice. I follow Duck Egg Threads on Instagram, where you can find me as @wordygirl11. I pinned this giveaway. 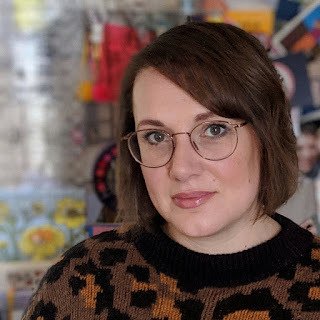 You can find me on Pinterest under "Beth Talmage", or possibly "wordygirl at earthlink dot net"
Just signed up for the newsletter ! So difficult to choose just one! I will go for Liberty Tana Lawn Desert Island Deliveries A Blue. I signed up for Duck egg thread newsletter and for your newsletter too! You know, my Gram had a blouse that could have been a Liberty floral, and every time I use that delightful blue print, I think of her and her garden. Otherwise, I love the delicately linear print called McLeod B, in pink.